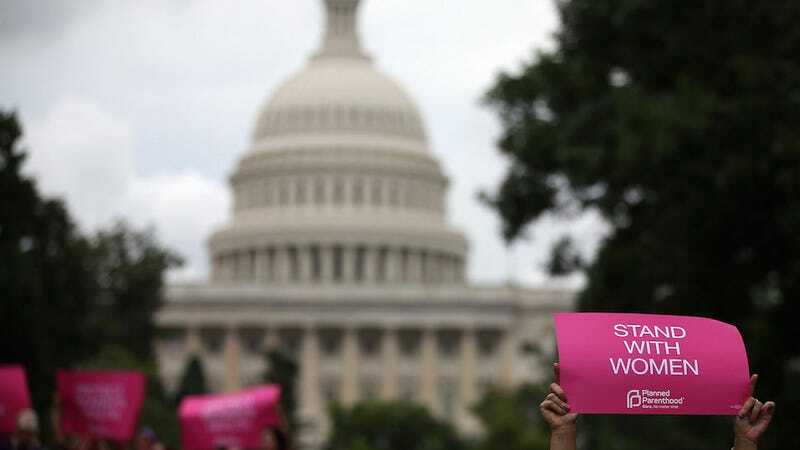 Following the resignation of Speaker of the House John Boehner, the U.S. Senate has voted to advance a bill that will continue to fund Planned Parenthood and prevent a government shutdown until mid-December. The bill secured the required 60 cloture votes to limit debate and prevent a filibuster. The Senate is expected to approve the bill itself, and send it to the House before the Thursday deadline when next fiscal year begins. On September 18, the House of Representatives voted to freeze funding to Planned Parenthood for a full year. The vote was—as The Hill put it—“largely symbolic” and is fully expected to be blocked by the Senate. The short term funding bill that’s expected to be passed by the Senate will last until December 11 when budget talks (and threats!) will resume. Until then, enjoy your access to unshuttered national parks and Planned Parenthood-provided, government-funded healthcare.